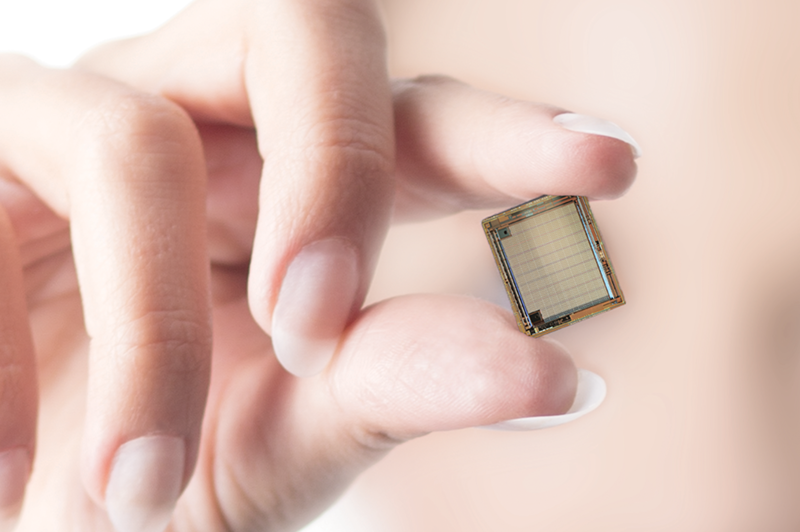 This medical lab-on-chip ASIC was designed as part of a disposable apparatus for tumor cell detection. 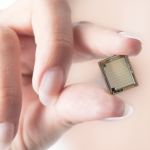 The goal is to detect and characterise cancer tumor cells in blood in only a few hours. To achieve this, tumor cells are extracted from the blood and put through an active sieve. The ASIC performs electrical cell impedance spectroscopy on all sieve holes to count the cells and determine the cell real and imaginary impedances. The read-out consists of all signal processing of the current through the measured impedance for every frequency to a digital output (I-to-V conversion, programmable amplification, filtering and analog-to-digital conversion).